Synopsis: Lt. John Dunbar, exiled to a remote western Civil War outpost, befriends wolves and a tribe of Sioux, making him an intolerable aberration in the military. Did You Know? The studio only wanted a 2-hour 20-minute cut of the film, but they eventually settled on Costner’s 3-hour one instead. Quotables: DUNBAR: Many times I’d felt alone, but until this afternoon I’d never felt completely lonely. I would like for once to have a film about the People of the First Nations that doesn’t have a white person in the leading role, essentially speaking on their behalf. We had that with Dances With Wolves, Little Big Man, The Last of the Mohicans, and now, several years later, The Revenant, poised to become the 88th Oscar Best Picture. However, I would hardly say that The Revenant is a film about Native Americans, more it’s a film about a white guy dragging himself through the snow while he grunts. Leonardo DiCaprio decided it was a film about American Indians during his acceptance speech at the Golden Globes, to raucous applause, though everyone has most definitely forgotten his words by now. 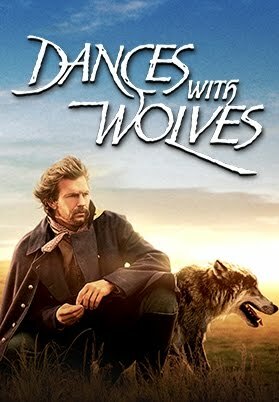 But I digress, I do really like Dances With Wolves. It’s an incredibly powerful film. But again, it’s about a white guy fighting for the “racial underdogs” and does not actually put one of the Sioux in the lead role. But this film really makes me hate white men, because they’re awful, vile people who kill for sport and think they’re superior to everyone (I am a white man). I get so pissed off whenever an animal gets killed in a film, and I know they’re not actually getting killed, but it makes me positively apoplectic. And this film did it several times! They killed a herd of buffalo and left them to rot, they killed Dunbar’s horse, and then they killed Socks the wolf! Like, SCREW YOU WHITE PEOPLE!